Let’s learn by example. In this tutorial, we’ll walk you through the creation of a basic ActiveGate plugin. Your ActiveGate plugin will be executed on an ActiveGate and will enable monitoring of the demo application bundled with the ActiveGate Plugin SDK. Dynatrace v1.156 or newer with Environment ActiveGate v1.155 or newer. ActiveGate plugin module installed on the Environment ActiveGate you&apos;ll use to run the plugin. Python 3.6 with pip installed on your development machine. Sign in to Dynatrace, navigate to Settings > Monitored technologies > Add new technology monitoring > Add ActiveGate plugin and click Download Plugin SDK. Extract the archive to a convenient directory. It contains docs, examples and the Plugin SDK whl file you&apos;ll use to install the SDK (for example, plugin_sdk-1.156.0.20181003.61122-py3-none-any.whl). Your first ActiveGate plugin will monitor the demo app bundled with the SDK. The demo app simulates the CUSTOM TECHNOLOGY that runs on a cluster (device group) with two nodes (devices). The demo app API provides access to two metrics per each device. Your plugin will import the topology and fetch the metrics. This is an expected result. Copy the ActiveGate demo plugin. Copy the demo demo_activegate_plugin directory to plugin_deployment directory on your ActiveGate. By default, it&apos;s C:\Program Files\dynatrace\remotepluginmodule\plugin_deployment on Windows or /opt/dynatrace/remotepluginmodule/plugin_deployment on Linux. Restart the Dynatrace Remote Plugin Module service to make ActiveGate import the new plugin. Upload the plugin to Dynatrace. Go to Settings > Monitored technologies, select the Custom plugins tab and click Upload ActiveGate plugin button. Upload either the plugin.json file or the whole zip archive containing the plugin files prepared earlier. Verify the successful plugin upload in the Custom plugins tab. Stay in the Custom plugins tab. Click the newly uploaded plugin to access the configuration page. Define the endpoint name and set the URL to http://localhost:8769. Select the ActiveGate on which you installed the plugin. Click Add endpoint. Verify the successful plugin start. The Demo Plugin should display the Ok status. Click the Monitored processes button to access the Technology overview page. It will indicate that the plugin has connected to CUSTOM TECHNOLOGY and that a group with two devices has been created. Note the custom technology icon. The Group page lets you analyze the group and compare the performance of its members. You&apos;ll find the device metrics in the infographic and Further details tab. The ActiveGate plugin consist of the two key files, Python and JSON. The JSON file defines the presentation of your data on various screens. With the Python file, you can define additional events and create custom properties. See ActiveGate plugins reference and ActiveGate plugins capabilities. Try to play with the files and see how the data presentation is affected. The metadata contains a list of properties used to identify your plugin. ActiveGate plugin name should follow ^ custom.remote.python (\. [a-zA-Z0-9_]+)+$ regex. For example, custom.remote.python.demo. The name of each plugin must be unique. The technologies and favicon properties determine how your technology is presented on the Technology overview page. The first two lines list the package name and class that is to be imported and executed by ActiveGate. This corresponds to the name of the Python file that contains the code and the name of the class that’s defined in it. The metrics section describes the data gathered by the plugin. This section provides two metrics that mirror both what our demo application serves, and what the Python code collects. ConfigUI and the properties sections define the user interface elements used for plugin configuration. 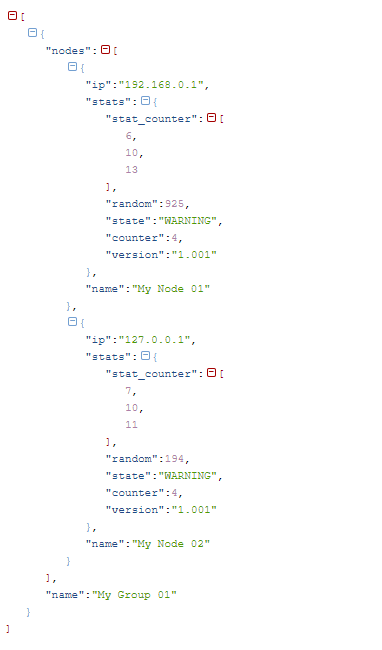 This part of the JSON file defines how metrics are charted. The key metrics section allows you to select the most important metrics and present them in the infographic and the group page. You&apos;ll find charts in the further details tab. The Python code is stored in the demo_activegate_plugin.py file. url = self.url + "/topology"
The file defines the DemoPluginRemote class, which in turn defines one method query. When your plugin runs, this method is called once each minute to collect and send topology data and metrics to Dynatrace Server. The demo app returns the JSON response as in the example below. Plugin’s query method parses the response, finds groups, devices and assigns metrics accordingly. The plugin automatically detects and monitors new groups and devices.